Times have changed, though, and this new generation of parents are very familiar with GPS’ and geo-fencing…mostly because it was a cool function that we found on our smartphones or when we lost the ability to read actual maps and started relying on car GPS systems. 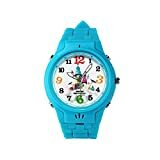 What kind of benefits does it bring to the child locator watch that you might get? According to TechTarget.com, a geo fence is “a virtual barrier”. This means that the “fence” can be put up around certain areas of in order to monitor what goes in or out of that area. In most cases, programs that use geo fencing will be set up by the administrator and those boundaries determined by that administrator. Once the geo fence is put up, then when certain devices (usually the slaves or sub-devices of the administrator device) enter or exit that fenced area, an alert will be sent to the administrator either via sound, vibration, text, call or email. In some cases, all of the above. 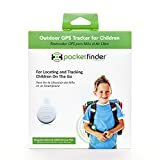 What is the benefit in regards to Child Locator Devices? 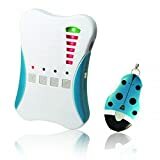 Let’s say you buy a child locator device for your young son or daughter. 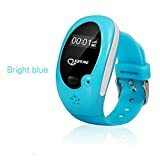 You put the GPS watch around their wrist or the fob around their neck or in their book bag, once you the device is active it will either pair with a free or premium piece of software for your mobile phone, PC or tablet. In many cases, the software will be an app that is accessible on all of the tech in our homes. If your son or daughter were to leave that geo-fenced area then the locator device that they have will trigger and alert through the software and then to the monitoring (administer) device that you are monitoring. You can set these ge0-fences up in radius or area fashion. For instance, your young teenager is going to the movies for the first time by herself and with friends. Then you can set the geo-fence, say, 700 yards around the theater. If your child, with the locator device, leaves that area of 700 yards around the movie theater than you will be alerted. Just think of geo-fencing as an imaginary fence that if your child crosses will trigger all the bells, whistles, and alerts that you assign it. There are some Child GPS Watches and Locator Devices that will actually call an assigned phone number if the geo-fence is crossed. Not only that, the software will actually call a series of numbers one-by-one, and then start over again, until someone picks up the phone. A child gps locator device with geo-fencing capability gives additional security and peace of mind for parents. Check out our reviews to find the right one for you and your child.